Tiny fruit flies look very different from humans, but both are descended from a common ancestor that existed over 600 million years ago. Differences between animal species are often caused by the same or similar genes being switched on and off at various times and in different tissues in each species. Each gene has a regulatory region that contains the instructions controlling when and where the gene is expressed. These instructions are written in a language often referred to as the ‘gene regulatory code’. This code is read by proteins called transcription factors that bind to specific ‘DNA words’ and either increase or decrease the expression of the associated gene. The gene regulatory regions differ between species. However, until now, it has been unclear if the instructions in these regions are written using the same gene regulatory code, or whether transcription factors found in different animals recognise different DNA words. In the current study, the researchers used high throughput methods to identify the DNA words recognised by more than 240 transcription factors of the fruit fly, and then developed computational tools to compare them with the DNA words of humans. 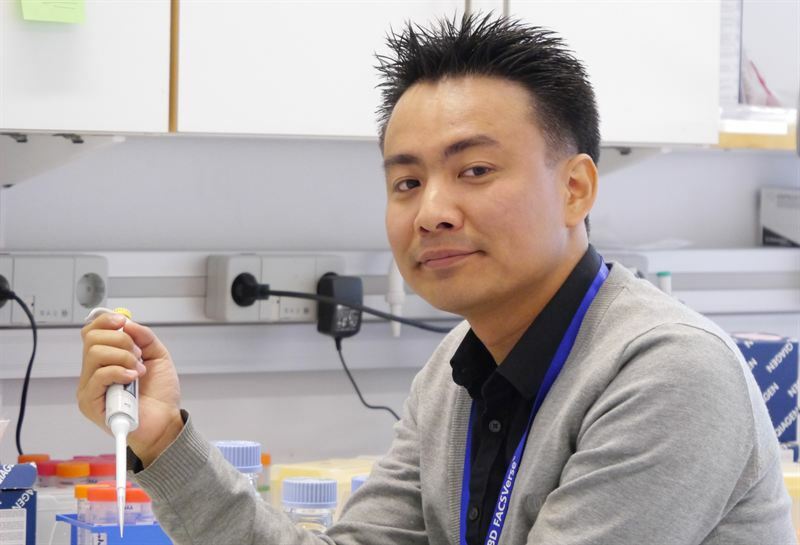 “We observed that, in spite of more than 600 million years of evolution, almost all known DNA words found in humans and mice were recognised by fruit fly transcription factors”, says Kazuhiro Nitta at the Department of Biosciences and Nutrition at Karolinska Institutet, first author of the study. The researchers also noted that both fruit flies and humans have a few transcription factors that recognise unique DNA words and confer properties that are specific to each species, such as the fruit fly wing. Likewise, transcription factors that exist only in humans operate in cell types that do not exist in fruit flies. The findings suggest that changes in transcription factor specificities contribute to the formation of new types of cells. The study of fundamental properties of gene switches is important in medicine, as faulty gene switches have been linked to many common diseases, including cancer, diabetes and heart disease. The research was funded by, among others, Center for Innovative Medicine at Karolinska Institutet and Göran Gustafsson Foundation . Study leader has been Jussi Taipale, Professor of Medical System Biology at Karolinska Institutet. Researchers in Finland, Germany and Switzerland also contributed to the study. Publication: ‘ Conservation of transcription factor binding specificities across 600 million years of bilateria evolution ’, Kazuhiro Nitta, Arttu Jolma, Yimeng Yin, Ekaterina Morgunova, Teemu Kivioja, Junaid Akthar, Komeel Hens, Jarkko Toivonen, Bart Deplancke, Eleen Furlong, Jussi Taipale, eLife online 17 March 2015, doi: org/10.7554/eLife.04837.